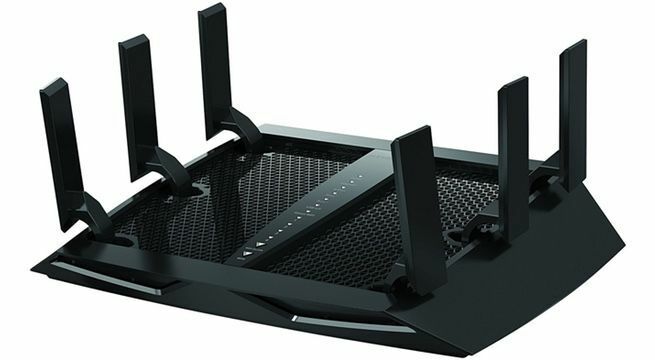 The Netgear Nighthawk X6 has over 20,000 reviews on Amazon and it’s rated 4 out of 5 stars. It has tri-band WiFi, six antennas, and blazing fast speed for gaming and video streaming. It’s also on sale for $130 when you combine the 32% discount and $20 off coupon deal that's happening right now. The only other time the price was even close to that was during Black Friday, and the Nighthawk X6 was $10 more expensive then. Grab it here while the deal lasts. You need the best when you’re taking on the online gaming world. Nighthawk’s Tri-Band WiFi ends game-lag and multiplies the intensity of immersive, uninterrupted, online gaming while Dynamic QoS prioritizes Internet traffic by application & device. Nighthawk X6 multiplies the entertainment factor for everyone in your home. Seamless, simultaneous streaming for multiple devices is now a reality thanks to powerful Tri-Band WiFi and features like Smart Connect and Beamforming+—it’s the end of buffering, jittery video, and lag as you know it. Nighthawk X6's Tri-Band WiFi provides more WiFi for more devices while Dynamic QoS bandwidth prioritization optimizes your Internet speed for gaming and streaming. That means more range and reliability for your mobile devices.